How To Get Radiant Skin- Instantly! 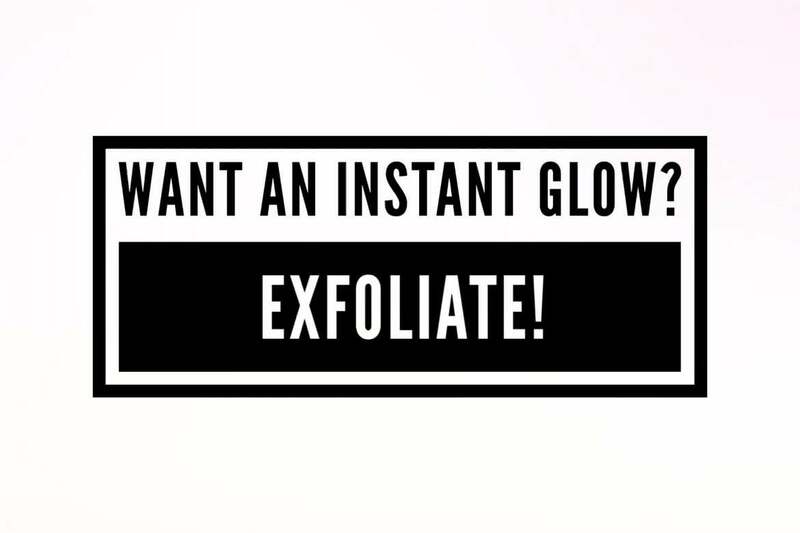 Exfoliating is one of the most overlooked parts of the skincare routine, which is funny because we all want that healthy glow and this is the easiest way to get it! Exfoliation is good for every skin type… Yes, EVERY SKIN TYPE (even you, Ms. Sensitive Skin)! It removes dead cells from pores- making them appear smaller, your makeup will sit better, and it enables your skin to absorb those expensive products so they can actually do their job. Our body is always generating new skin cells. So where does the dead skin go? Well, unless you exfoliate regularly, it is building up on your face. Meaning it can leave skin looking dull, rough, and dry. On top of just looking bad, the build-up of dead skin cells can result in excess oil and clogged pores, leading to blemishes and acne. Manual (a.k.a. scrubs)- choose one with smooth, round granules rather than jagged, rough particles to avoid injuring your skin. Be gentle- a light touch is all you need to slough off the dead skin cells. Any more than that and you’re likely to irritate your skin. Chemical- Chemical exfoliants usually don’t have any granules because they contain alpha or beta hydroxy acids that exfoliate the skin. There are also natural products that exfoliate by using enzymes from fruit. So… Here is where it can get confusing. There are SO many different types of exfoliants, which ones should you use and how often? I put together a quick and easy breakdown depending on your skin type. 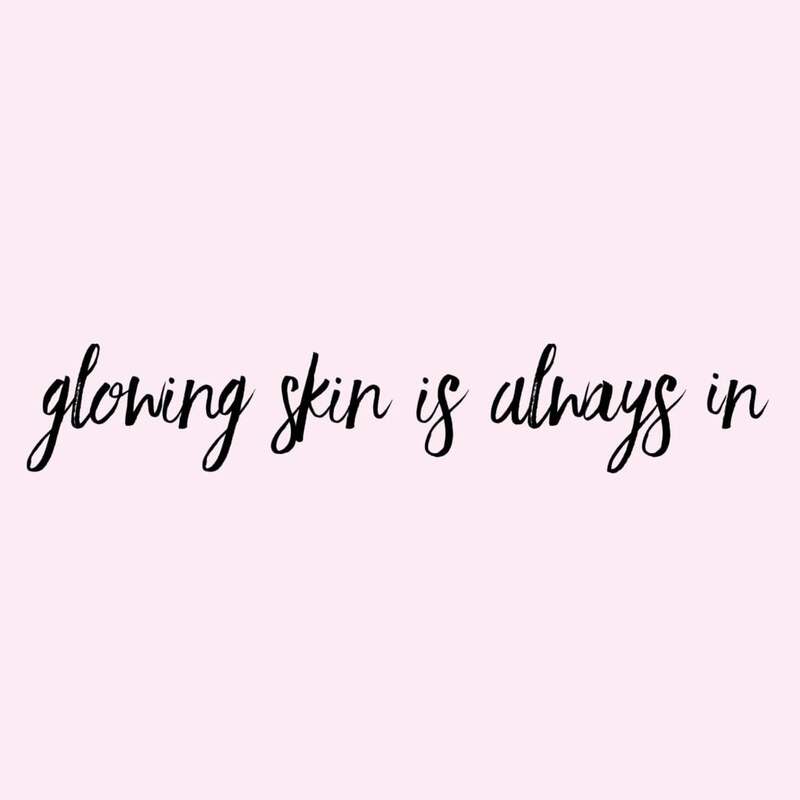 If you aren’t sure what type of skin you have, ask me! Dry skin gets an abnormal buildup of skin cells, preventing normal exfoliation and normal moisture retention. Exfoliating helps the dead skin cells shed at a more normal rate, making room for new skin cells and enabling moisture to stay. Use a light facial scrub that has super-fine particles every two or three days. Exfoliate 2 times a week- if you over exfoliate your skin will become more dry & irritated! Always follow it up with your favorite moisturizer. Acne prone skin can be very frustrating because it’s often oily, dry, sensitive and normal- all in one! Stay away from rough physical scrubs, which can contribute to breakouts. Chemical exfoliants are perfect for you! A face wash made with hydroxy acids like glycolic or salicylic can remove grime and penetrate oil to break down pore-clogging dead skin cells. Exfoliate 2 times a week- if you over exfoliate your skin can become irritated and create more oil and breakouts. Sensitive skin is similar to acne prone skin because it can coincide with any skin type. Gritty scrubs are definitely off-limits! Consider a cleanser or toner rich in fruit or plant enzymes. Rhonda Allison has some amazing products for this skin type! You can also use a clean, cool, wet washcloth in circular motions to loosen and sweep away dead skin cells. Exfoliate 2 times a week- try one time with a chemical exfoliant and one time with the clean washcloth. “Normal” usually means “combo”- oily T-zone and dry cheeks. You can use any time of exfoliant with normal skin. I love a mild physical scrub more than a chemical. I like the feeling that I am getting in there and really cleansing my skin. Exfoliate 2-3 times a week. When you are experimenting with exfoliants, start slow. Try one time a week and see how your skin responds then work up from there. You can also exfoliate your body! I love my glove. I use mine in the shower every day- just add a little body wash and scrub away! What do you use to exfoliate? Physical or chemical? Let me know! My skin the day after I had a microdermabrasion. 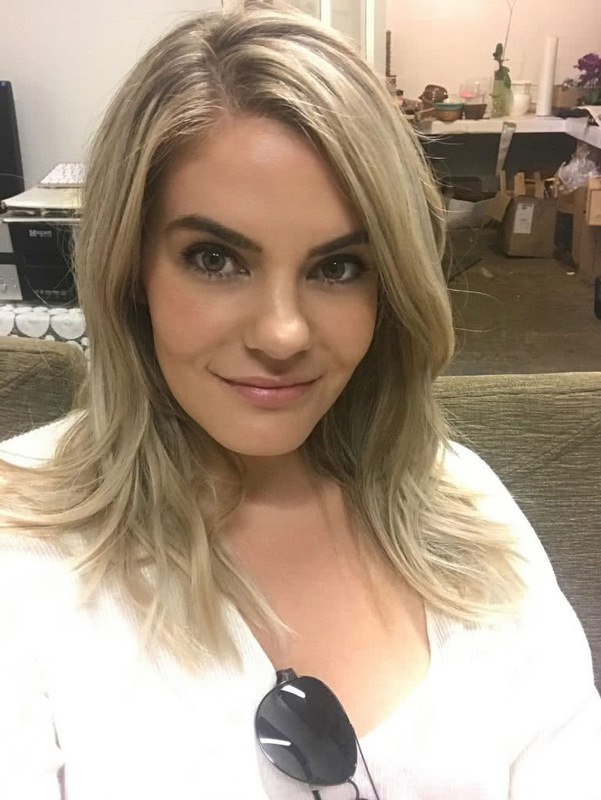 I took this at my Florist’s office- I was so amazed how glowy my skin was! Definitely hydration- Inside the body & out! Water, exfoliation and SPF are the easiest way to perfect skin! Thank you, Jo! What type of skin do you have? Do you have a favorite exfoliation method? I have dry skin at the moment since I am on Roaccutane :/ I still have to exfoliate otherwise my skin looks super dull, plus I have to avoid many active ingredients! My favourite exfoliater is Daily Microfoliant from Dermalogica! OOH I haven’t tried the Dermalogica one! I did Accutane 10 years ago and am SO happy I did. It’s definitely a lot of work but sooo worth it. I have acne prone skin so thanks for the chemical exfoliants reccomendation! I love glycolic acid, I use it every night after I wash my face.